For the renovation of the industrial area first a leveling layer with weberfloor 4320 was made to strengthen the concrete substrate and level all uneveness. After drying this base layer was primed with weberfloor 4716 and then a layer of weberfloor 4650 with the special color was pumped on top of this. Finally the floor was treated with a transparent PU protective coating. 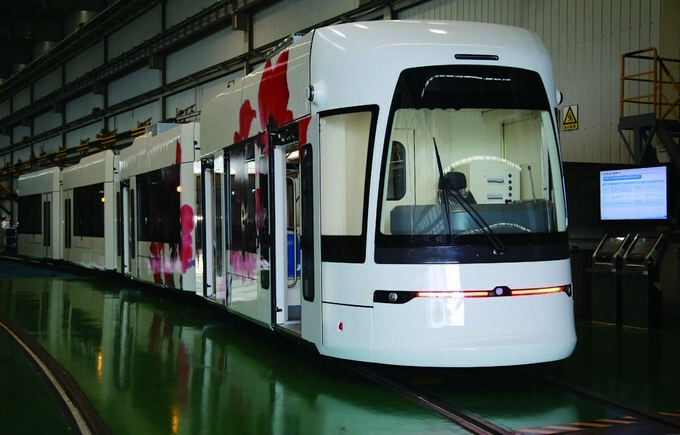 CSR Zhuzhou is a chinese company designing and manufacturing electrical locomotives. 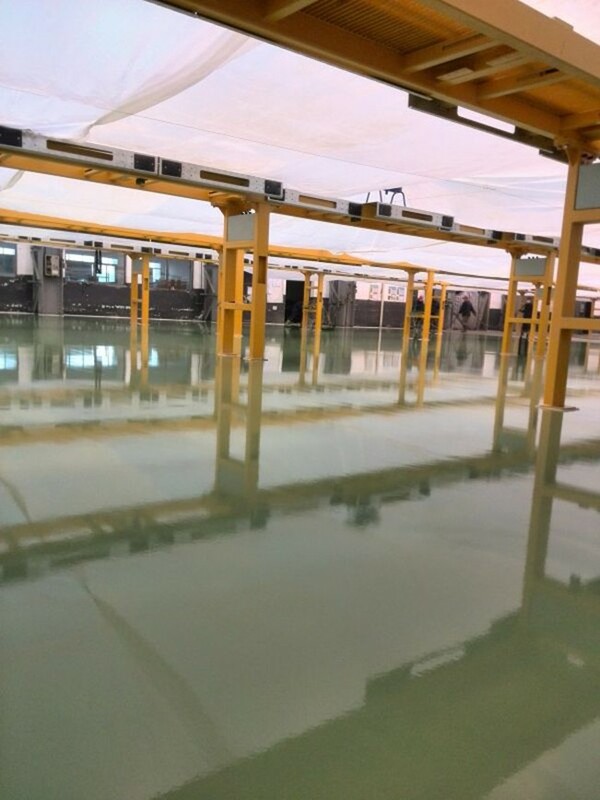 Early 2014 Weber China was asked by this company to provide the flooring solution for renovation of their industrial area. The renovation needed to be finished in about 1 month covering 20.000 m2 floor. Saint-Gobain Weber is world leader in self-levelling floor solutions and our products can be applied mechanically by pump for large areas with high speed. 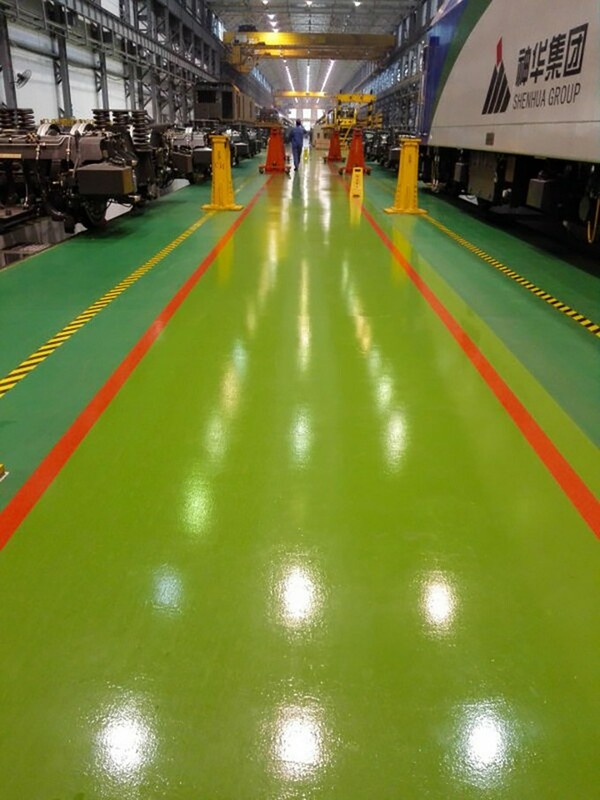 The weberfloor 4650 was made in a special color (RAL6025) for CSR Zhuzhou renovation project. The green color chosen portrays the GREEN image for CSR Zhuzhou. CSR Zhuzhou was satisfied with the excellent flooring materials with high wear resistance, low shrinkage, class A fireproof and no casein.